The Great Orme, Y Gogarth, that iconic limestone outcrop that defines Llandudno has been a centre of population and industry for thousands of years. Copper mining was been carried out here during the Bronze Age, It was later occupied by the Romans, and it was here in the seventh century that Tudno founded his church. In the medieval period it was home to a farming community and later the mines were reopened and once again Llandudno became a source of copper. 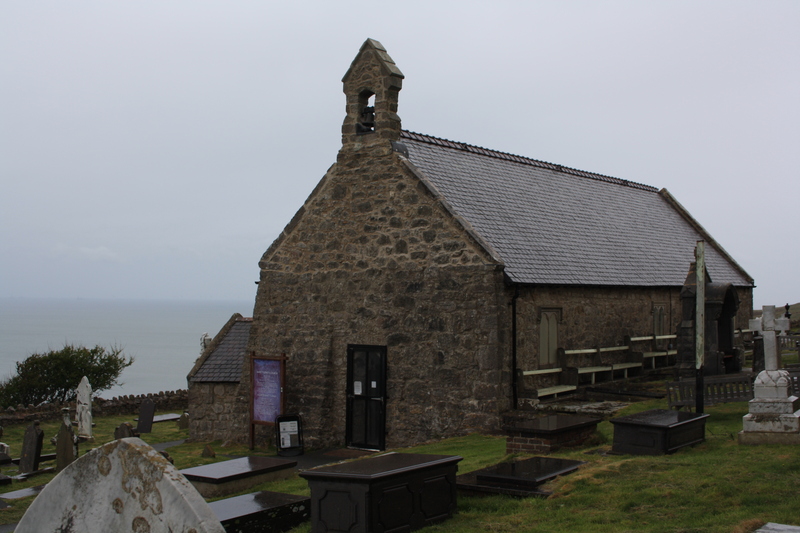 A small cave, little more than seven feet square, but with its own spring of fresh water, looking out to sea on the north coast of the Orme is reputed to have been Tudno’s cell; and his church remains, high above this point still isolated from any present day habitation. Tudno was a Welshman, supposed to have been son of a King of Maes Gwyddino, lands that were flooded and lost in the sixth century and now lie under the sea in Cardigan Bay. On losing their lands he and his brothers took refuge and became monks at the great monastery at Bangor on Dee, and when that was destroyed by the Saxons Tudno, who survived the massacre, fled to form his cell at what has now become known as Llandudno. The Great Orme was attractive for settlement throughout history as it has a number of strong fresh water springs scattered across it. These would have been invaluable in the mining process as well as providing water to early residents on the hillside. Close to Tudno’s church is Ffynnon Rufeining which can be translated as the Roman’s Well and close to which Roman coins have been found. Another well, some hundred yards from Tudno’s church became known and visited as St Tudno’s Well. Llandudno, as it is known today, sprang up, with rapid development, in the mid Victorian period in the age when the advent of rail travel led to an explosion in the development of seaside resorts. The town became fashionable and grew rapidly, linking the former isolated settlements that existed around both the Great and Little Ormes. 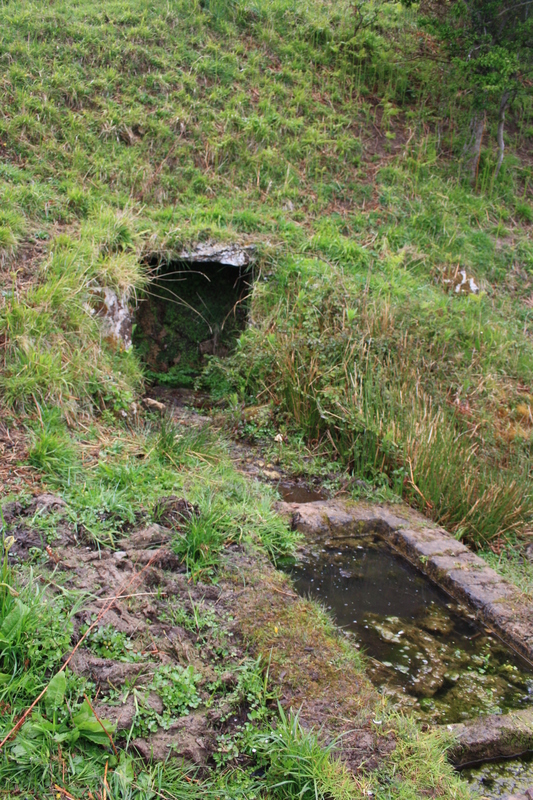 As the town developed the springs on the Orme were looked to for a ready source of fresh water. In around 1860 a reservoir was dug, the remains of which though now dry can still be seen to the east of St Tudno’s church. A number of springs were diverted to feed this, whilst water from others were piped directly down to the town. A line of pipe commencing at the Gogarth Springs and terminating at the junction of streets called or known as Church Walls and Abbey Road in Llandudno. Take, collect, divert and use all or some of the waters called or known as the Gogarth Springs Ffynnon Powell, Ffynnon Tudno, Ffynnon Llety’r Fadon and of the streams and waters which directly or derivatively flow or proceed into or out of the same respectively. As a result the flow from St Tudno’s Well would have been significantly reduced, leaving us with the small trickle that we see today. 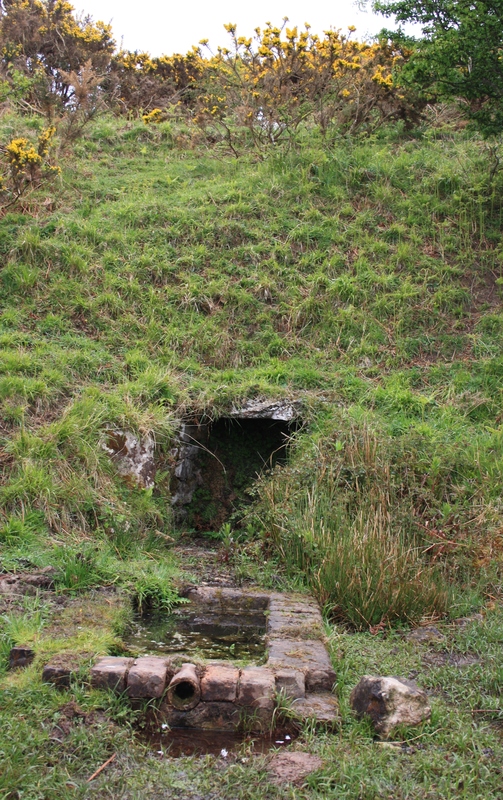 … at the foot of steep ground formed by a small level platform in a hillside falling to the east. The water stands in a square basin, three feet each way, in a cleft cut into the steep slope. 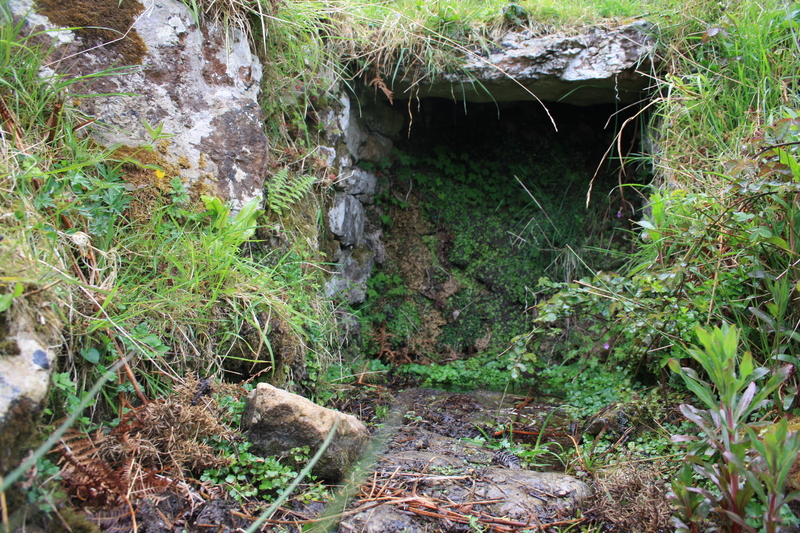 The basin has a slightly curved back and is walled on all sides except the east with drystone masonry, 3 ft 6 in high forming a revetment to the slope and capped by a massive limestone slab 3 ft 6 in long and 2 ft wide from to back and 6 in thick. The open side of the pool on the east is approached by a stone flagged passage 3 ft long. Some 9 ft in front of the well on level ground is another small pool 4ft by 2ft contained in a modern brick surround. 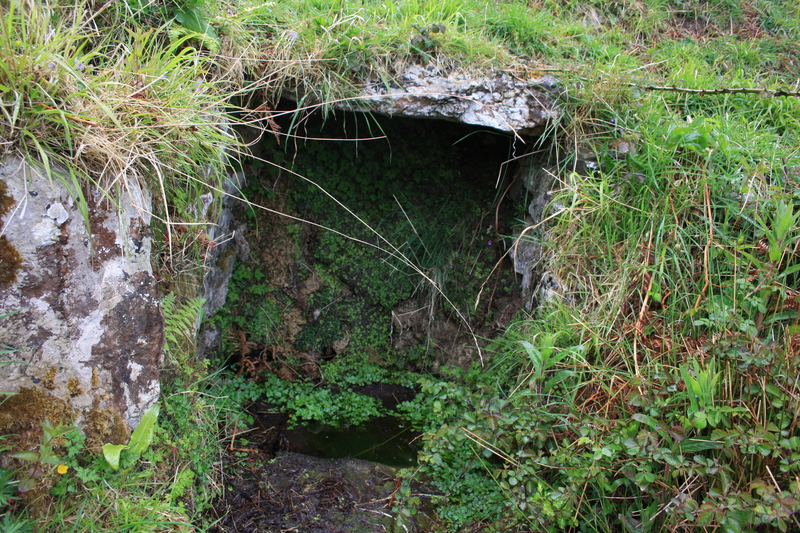 Despite its long history, and obvious use as a water source, I have found no description of it being used as a healing well, although undoubtedly it was. It is referred to seldom in the topographical and tourist books of the eighteenth and nineteenth centuries – clearly by that time Llandudno had new excitements to offer. St Tudno’s feast day is celebrated on 5th June. Note that Ffynnon Dudno lies on private land and there is no public access to the site. 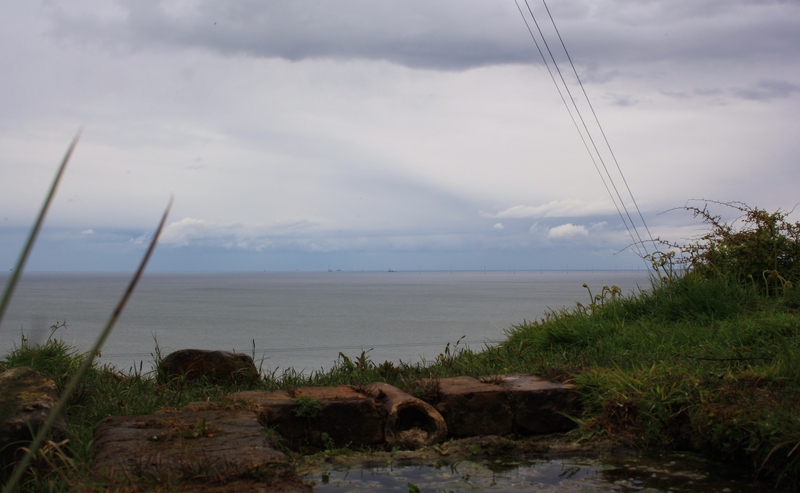 We were fortunate to have the opportunity to visit the well on a very grey, wet and windy day as a part of a group visit organised by the local churches with the permission of the land owner.